We have a local fish market that is AMAZING! Just about any seafood you could want is available and ready for you to select. You can pick the size fillet you want, you can get the entire fish whole or dressed, you can even get some of the food steamed if you'd like. We don't visit the fish market as often as we should, but when we do, we usually get at end up having fish at least 3 times or more that week. A while back we bought salmon, mahi, and basa, a type of catfish. We'd made plans to have fish tacos one night, Hubby makes them and they are delicious. However he went out of town and before risking the fish going bad, I tried my hands at them. They are very easy to make and taste delicious. The following are affiliate links, if you click and make a purchase I may receive a commission. Thanks! Cut the fish into small cubes or slices about 1 inch large, try to keep them consistent sizes. Heat oil over medium heat in plan. Dredge the fish in egg and then coat with bread crumbs. Place fish in oil and cook until bread crumbs are brown and fish is cooked, approximately 2-3 minutes on each side. Prepare coleslaw mix by combining cabbage mixture and poppy seed dressing. 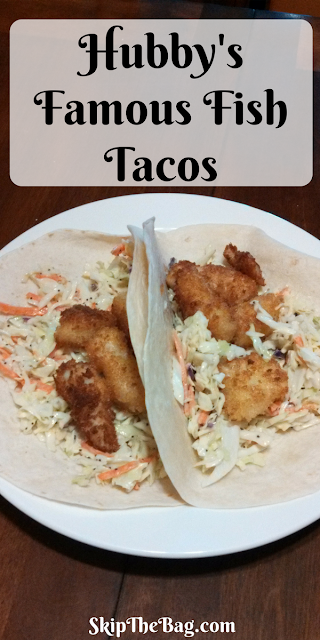 Make the tacos by adding coleslaw, fish, avocado, cilantro to the tortilla. Feel free to add other items such as salsa. Then eat and enjoy! 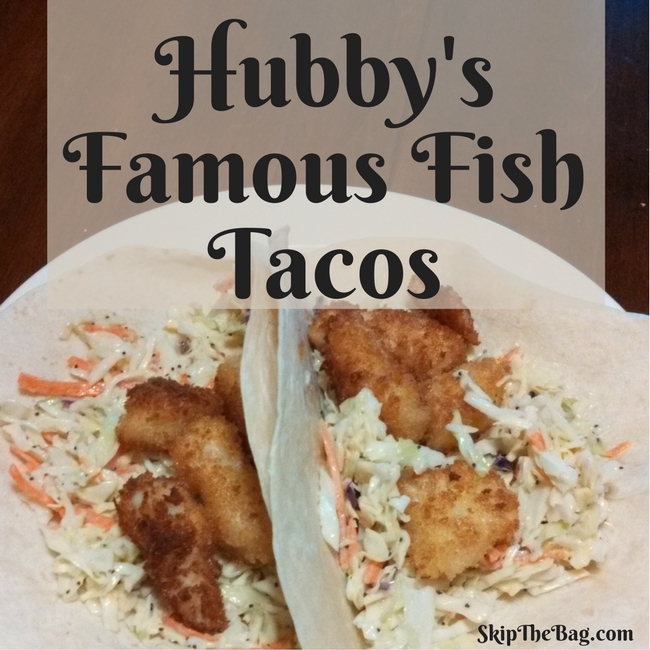 This is the recipe Hubby has followed for years, but now that we have an eye toward waste I would make some slight changes. First, I would buy cabbage and make my own coleslaw rather than buying it in a bag. If I had some carrot or purple cabbage I'd shred some up, but I don't think the few shreds of carrot make or break the meal. The next part, and the part I am having the hardest part finding an alternative to, is the poppy seed dressing. Typically we have purchased a bottle from the store and recycled the bottle. So I may have to do some experimenting to find a plastic free alternative.